Trials, Tribs, Trips & Triumphs from The Business Of Art… and The Art Of Business. « My new favorite car. Charles Schwab learns easiest time management trick EVER! Charles Schwab, President of Bethlehem Steel, and the same name you know today as one of the leading investment houses, paid Ivy Lee $25,000 for this time management techniques benefits over 100 years ago. If it was worth so much to Schwab, don’t you think its worth learning too? I’m going to share this time management technique with you the same way I learned it….through a story. “Each Bethlehem executive consented to follow Lee’s instructions. Three months later, Schwab studied the results and was so pleased that he sent Lee a check for $25,000. If Schwab, one of the smartest businessmen of his day, was willing to pay so much money for this advice, don’t you think you could benefit from it too? 3.Start working on task number one, and keep working on it until you complete it. Do not move onto the next task until you complete this one. 4.If any tasks are left at the end of the day, move them to the top of the next days list. For example, if you finish tasks 1-4 today, tasks 5 and 6 become tasks 1 and 2 on tomorrows list. This entry was posted on January 29, 2010 at 3:11 pm and is filed under For Entreprenuers Only with tags Charles Schwab, Haziq Ali, Ivy Lee, Time-Management. You can follow any responses to this entry through the RSS 2.0 feed. You can leave a response, or trackback from your own site. 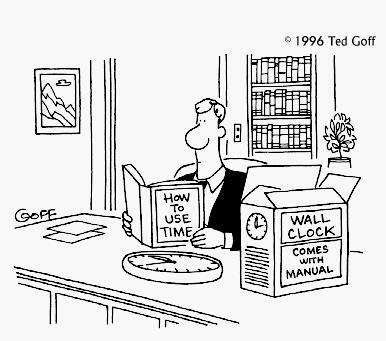 fine post, do you know another models of time management? Do you know why wikipedia calls this story “dubious”? thanks for sharing, Coach Haziq!